ISIS, Nusra Front recruits concerned intelligence agencies gleaning crucial data from Facebook to use against them, pinpoint locations. After having used the Internet profusely for propaganda and recruitment, jihadist organisations have realized that investigators are gleaning crucial information online and are increasingly concealing their web presence, experts say. Apart from recent orders given to fighters to limit their exposure, erase the footprint of their online activity and avoid revealing too many place names or faces, the Islamic State (ISIS) and Al Nusra Front groups are increasingly using the "Dark Web" - the hidden part of the Internet protected by powerful encryption softwares. "Sometimes we get the geographical location of some fighters thanks to Facebook," Philippe Chadrys, in charge of the fight against terrorism at France's judicial police, said earlier this week. "Some even publish it on the public part of their account. That gives us elements to build a case. Because of course we don't go to Syria, we have no one on the ground, and we lack proof." In November, Flavien Moreau, a 28-year-old jihadist who traveled to Syria and then returned to France, was jailed for seven years exclusively on the basis of what he posted online. And those who just months ago had happily posted videos, photos of themselves holding Kalashnikovs or of beheadings on Facebook have now realized that they were single-handedly building a case against themselves, if they ever decided to come home. "We are starting to notice the beginnings of disaffection with Facebook - they have understood that's how we get incriminating evidence," said Chadrys. "They are resorting more and more to Skype or WhatsApp, software that is much harder to intercept. "We realize that the people we are interested in are increasingly specialized in computing. They master encryption software and methods to better erase data." Chadrys also said that jihadists were increasingly using the "Dark Web." "That makes our probes much more complicated. The terrorists are adapting, they understand that the telephone and Internet are handy, but dangerous. He pointed to Mehdi Nemmouche, saying last year's alleged Brussels Jewish museum killer had no mobile phone and no Facebook account. Faced with this problem, police are resorting to calling in cryptography and computing experts, but there are never enough, which slows down investigations. Last autumn ISIS published guidelines for its members, asking fighters not to tweet precise location names, to blur faces or stop giving too many details about on-going operations. "Security breaches have appeared, which the enemy has taken advantage of," read the text, written in Arabic. 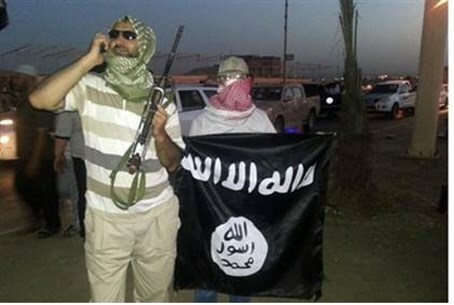 "The identity of some brothers has been compromised, as have some sites used by mujahedeen. We know that this problem does not only involve photos, but also PDF, Word and video files." In a recent report, Helle Dale of the US-based Heritage Foundation think-tank wrote that cyber-surveillance was key to the fight against ISIS "as human intelligence is hardly available on the ground, especially in Syria, and the number of unmanned drones is limited." But, she added, the group "is changing is communications strategy. It is encrypting its electronic communications, limiting its presence online and using services that delete messages as soon as they are sent."